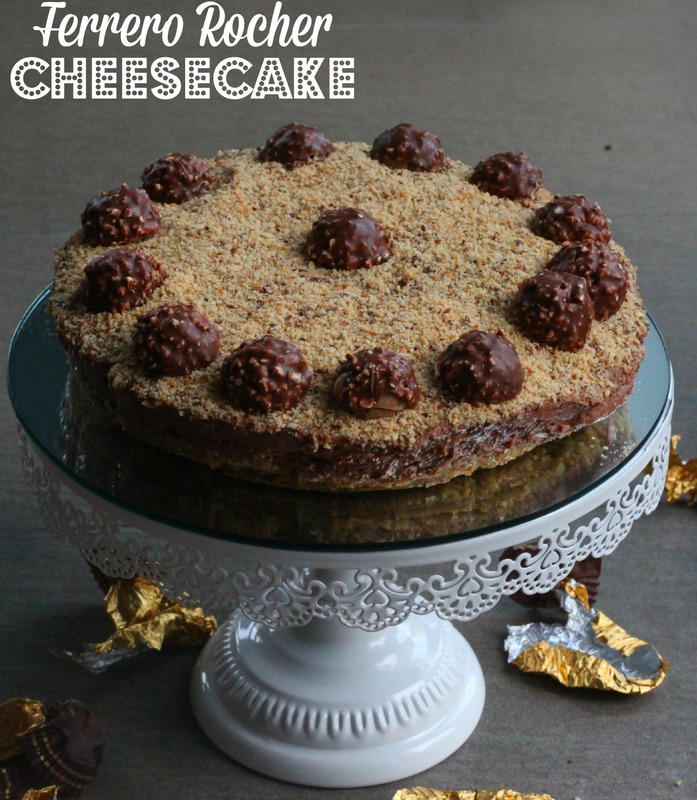 I have made this cheesecake a few times now, and not only it is very easy to make, I think it looks impressive and it tastes amaze-innnnng!!!! I served it on Christmas Day in place of Christmas Pudding for a change, and it went down well with my guests (apart from my boys and my brother who had jelly and ice cream!). 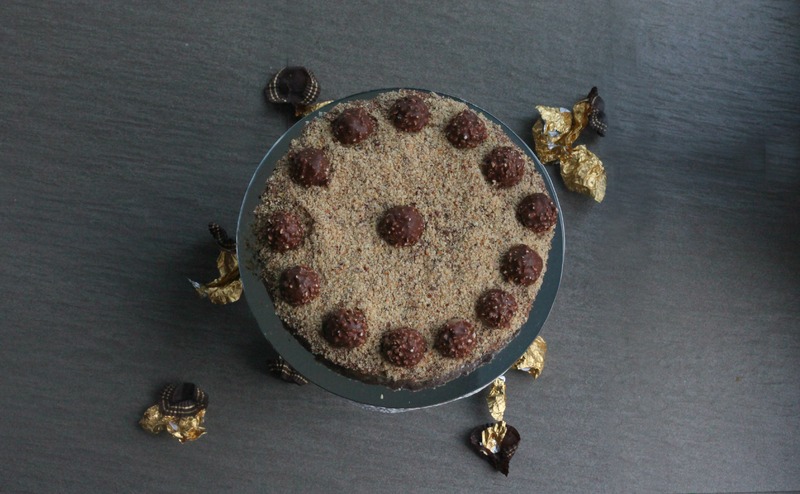 So if you have any Ferrero Rocher leftover from Christmas , or want to buy some to make this then here is how you make my version of this cheesecake. Add the nutella and then whisk again to thicken. 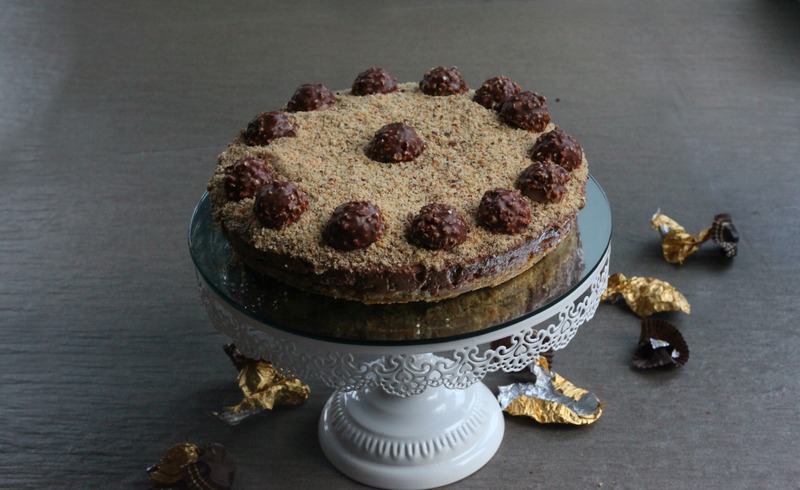 **tip - do not add the Ferrero Rocher until the last minute else their weight can make the cheesecake collapse!!! Well, I don’t think I need to say anything more about this cheesecake – it is delicious and is a firm favourite in our home. Why not give it a go yourself?